Find Out If CRT Is Right For You! During the month of December, you can schedule a free CRT consultation. CRT is an incredible contact lens that is worn while you are sleeping. It gently shapes the eye allowing you to remain glasses and contact lens free during the day without the need for eye surgery. CRT is also an effective method of reducing the risks associated with myopia/nearsightedness in children and teens. 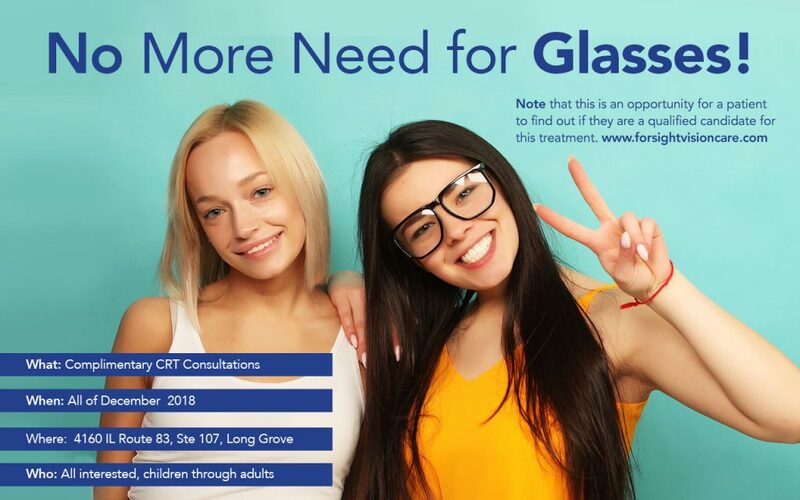 CRT lenses are a great solution for children (8 and up) and adults. Please fill in the form below to request a free consultation for CRT during the month of December. Please let us know when you would prefer to have your appointment.